Long and narrow it may be, but the Grade II-listed Town of Ramsgate seems bright, friendly and open, not unlike the staff tending to the needs of the contented mix of locals, office workers and tourists who mingle easily within it. 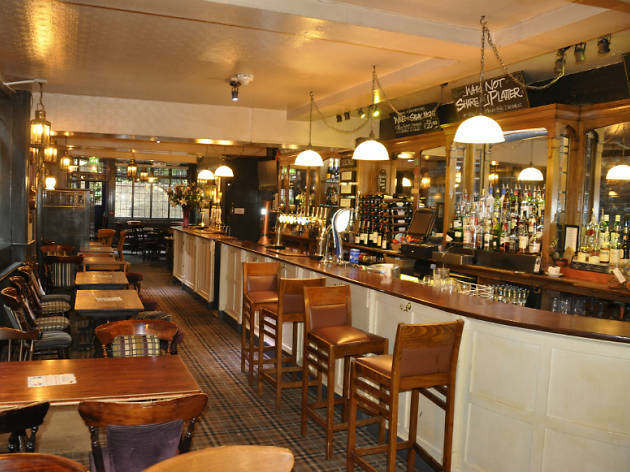 The food includes own-made cream of tomato soup, and beef, beetroot and mozzarella salad, while the bar continues to earn plaudits for the quality of its guest and constant real ales. Hoegaarden, Leffe and Peroni are on draught for those who favour a continental brew; wine-lovers plump for Tin Roof shiraz or Marlborough sauvignon blanc. Out back, the bijou, decked terrace delights the lucky punters who manage to grab a table in summer, watching the moorhens as the tide slaps against the stone steps leading down to the Thames from the adjacent alleyway. I stumbled across this quaint pub on Saturday and was surprised to find they have a small beer garden overlooking The Thames. What a unique find! 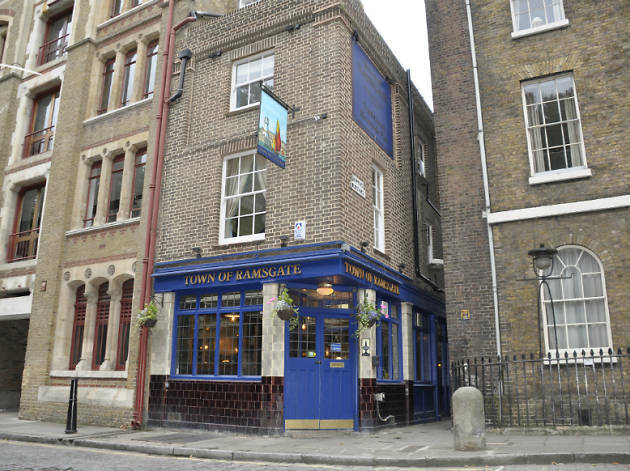 This is a small gem located in Wapping, away from the hustle and bustle of London (yet centrally located). 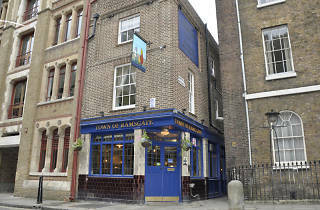 If you are looking for a quiet beer garden to relax in the sun and enjoy a cold pint then make your way to Town of Ramsgate. Lovely, welcoming atmosphere. Excellent range of beers. Wonderful, delicious homecooked food at good prices. Visited late on a Saturday night and only had an hour here but will definitely be back - so much nicer than the overpriced, touristy places just a few minutes away in St Katherine's Dock. 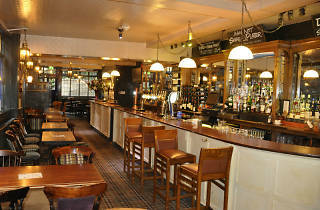 Reasonably priced drinks right next to the Thames - what else could one want?